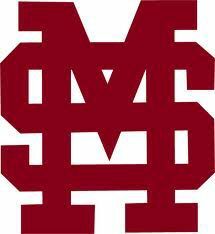 The Mississippi State Bulldogs broke a two-game losing streak on Wednesday night with an easy victory over the visiting Warhawks. Dustin Skelton hit a grand slam home run to get the offense rolling early for the Bulldogs (25-5). Jake Mangum had five hits to inch closer to MSU's all-time hits lead. He is now at 332 career hits and trails Jeffery Rea by only three. For more on the win for the Bulldogs, see Robbie Faulk's report in Thursday's Starkville Daily News.